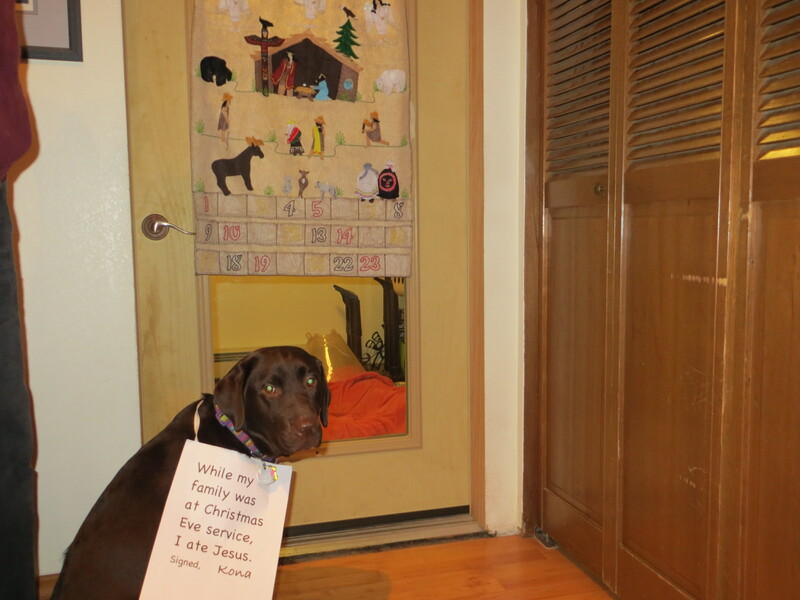 We’re not sure what to make of this, but we’re pretty sure Kona might be a performance artist. Posted December 26th, 2013 . Was that your First Communion? That made me laugh so hard! Especially the performance artist part. Was Jesus made of food or paste? Jesus was a gentle soul who believed in redemption. I’m sure he’ll understand. Merry Christmas Kona and family. Have him apply for an NEA grant!